Have the judges lost their ability to distinguish cases based on the underlying facts? This is a skill taught in the first semester of law school, and one that separates those who will ultimately become lawyers and those who will drop out and pursue other avenues. But for some reason, the Federal Circuit is applying Mayo and Alice, two cases where the patent claims did not cover any innovation whatsoever, to strike a dagger through the heart of the innovation of tomorrow. Is this what the Supreme Court has mandated? While we are quick to say—for good reason—that Supreme Court precedent on 101, from Benson to Flook to Diehr to Chakrabarty to Bilski to Mayo to Myriad and ultimately to Alice, are incomprehensible, incoherent and most importantly irreconcilable with each other, we give the Federal Circuit a complete pass, despite the fact that CAFC precedent is at least equally incomprehensible, incoherent and irreconcilable. How can one reconcile Ultramercial with DDR Holdings? We are told in DDR that the outcome is supported because the problem being solved is not an old-world problem merely computerized, but a problem created only in the computer age because of the Internet. That also describes the innovation at issue in Ultramercial relating to viewing copyrighted material online only after watching an advertisement. But in Ultramercial, the invention was held patent ineligible, while in DDR the invention was eligible. How can one reconcile the patent eligibility of claims in McRo, which identify a “first set of rules” that are nowhere mentioned in the specification? We are told that what saves the day is that mention of the rules in the claims, and while there are numerous rules identified in the specification, including a “second set of rules,” there is no mention of a “first set of rules”. So, how in the Alice/Mayo universe can something not present in the specification provide the linchpin of an innovative concept? How can one reconcile Thales being declared patent eligible with claims that are extraordinarily naked? A different panel at the Federal Circuit would absolutely have ruled the claims to be patent ineligible. How can it make sense to anyone on any level that the unique and innovative functioning of a payment gateway is per se patent ineligible, while the look and feel of that payment gateway can be protected with a design patent? How can one reconcile the extraordinary medical advance that protects mothers and unborn babies in Sequenom v. Ariosa being patent ineligible, while the discovery that hearty hepatocytes can live through multiple freeze thaw cycles is patent eligible? The magnitude of these two innovations is not even close in terms of importance, and yet the innovation of greatest importance is somehow patent ineligible, while freezing and thawing liver cells for testing is patent eligible. Absurd. These and other decisions of the Federal Circuit are completely and totally random when viewed as a whole. They are irreconcilable and wholly unpredictable. Unpredictable, that is, until the judges walk through the door on the morning of oral argument. Once you know your judges, you likely know the outcome. But that is not predictability, and it is exactly the type of subjective decision making that leads to an incoherent, incomprehensible and irreconcilable body of law. And that is where we are today, courtesy of a Federal Circuit that has abdicated its one job—to bring uniformity to patent law. What is clear is that the Federal Circuit has forsaken the patent and innovation communities. The Federal Circuit is AWOL. The Federal Circuit has one and only one job—the Court was created to unify patent law, to make the law predictable, and to recognize that patent claims—at least some—must be valid. Why the Federal Circuit has abandoned its duty is uncertain. It is, however, taking an extraordinary toll on innovation in America, which is why many have simply stopped attempting to patent medical diagnostics, for example, and are seeking patents and funding overseas, where they are establishing companies, creating jobs and pursuing the innovation of tomorrow. The same is happening in the artificial intelligence field, where China start-ups outpace U.S. start-ups in terms of VC funding. Why? Because you can predictably protect these innovations outside the United States, but can no longer predictably protect medical diagnostics, artificial intelligence and myriad other high-tech and life science innovations within the United States. This should hardly come as a shock. This is precisely why the U.S. has dominated the biotechnology industry since the early 1980s. Back then, the U.S. Supreme Court had an expansive view of what was patent eligible in America, allowing patents even on genetically engineered life forms. Thanks to the decision in Chakrabarty, the U.S. was an outlier. Most of the rest of the world viewed patenting a form of life as ridiculous, even barbaric. Today the shoe is on the other foot. What jumpstarted the biotechnology revolution that led to U.S. dominance of the industry for over three decades was the fact that stronger and more predictable patent protection could be obtained in America. That is simply not true anymore for the high-tech and life sciences industries that will define the paradigm shifting innovation of the 21st century. I invite the Federal Circuit to read that one-sentence statute, but this time in light of Alice and Mayo and the rest of the Supreme Court’s 101 cases. Clearly, the Supreme Court cannot say that discoveries are not patentable, because the statute says otherwise. Even the Constitution itself recognizes that Congress is authorized to grant protection for discoveries. So, any reading of Supreme Court precedent that concludes that discoveries are patent ineligible is simply wrong. Alice and Mayo must mean something else, and it is the one job of the Federal Circuit to explain that to create a unified patent law for America. The Federal Circuit can begin with the Supreme Court caution that an overly expansive view of what is patent ineligible would “swallow all of patent law.” Then, proceed to distinguish those cases on the facts, recognizing that those bad facts—and bad claims written to cover what were no innovations at all—simply cannot have any relevance or meaning for real innovation. In Alice Corp. v. CLS Bank, the Supreme Court was faced with patent claims that related to computerizing the function of what was essentially, in the view of the Supreme Court, a checkbook register. The Supreme Court during oral argument was even told—not once, but twice—that the invention could have been coded by a second-year engineering student over a weekend. How trivial must the code be for that to be correct? Consider that in Mayo v. Prometheus, the Supreme Court was faced with patent claims that no one in the patent community thought were novel or nonobvious. Yet, the Supreme Court took the opportunity to invalidate the claims as being patent ineligible because the claims at issue added so little beyond observing the natural law that the defined claim couldn’t possibly be worthy of a patent as there was no invention present. But rather than recognize the facts of Mayo are peculiar and represent the most trivial of situations, the Federal Circuit has used Mayo to destroy medical diagnostics and reiterate again and again a conclusion that is contrary to the text of the statute and Constitution—that discoveries are not patent eligible. But discoveries ARE patent eligible, period. Clearly the Supreme Court must have meant something else, and at least some discoveries MUST be patent eligible. It is long past time for the Federal Circuit to come together and perform the one job for which each judge was appointed. The law of 101 is irreconcilable, incoherent and incomprehensible. A great deal of that blame rests on the Federal Circuit. Irreconcilability is NOT a foundation as coming from the CAFC. That’s be clear about that. So while the CAFC was chartered with bringing order to patent law, they MUST operate within the existing structures of the hierarchical judicial branch structure (that is, until the time that Congress steps in and applies its Constitutional power of jurisdiction stripping of the non-original jurisdiction of patent appeals from the Supreme Court). So while there are solid points in this article, I am afraid that the major thrust of the article misses the mark. To ignore the plain fact that CAFC is reacting to the patent-brow-beating from “On High” is to disregard the lesson of the psychological thought experiment of training simians in a cage not to climb a ladder and reach for bananas hanging from the top center of the cage by firehosing them. Most any engineer/MBA grad can tell you of the Five Why’s and problem resolution techniques that drive down to the principal problem to be solved (as opposed to a perpetual chase of band-aid fixes). The real problem is the Court – and their ultra vires insistence on ignoring the fact that Congress took from them the power of Common Law law writing when it comes to “invention,” “inventive step,” “gist of the invention,” just plain “gist” or any of a dozen or more like-sounding terms that littered the landscape of the pre-1952 (anti-patent) Court. Yes, I “get” that there is plenty of blame to pass around, and surely, the CAFC carries a fair share by engaging ALSO in Common Law law writing — and doing so in a “Ping-Pong” “I know it when I see it” or even “Meh, that does not seem worthy to me” manner. But the root cause is NOT the CAFC. And because they are not the root cause, any real fix MUST go beyond the CAFC. The Examiner in my patent prosecution had a whole laundry list of court cases to invalidate my claims. All of those court cases did not solve any problem beyond the reach of working professionals and experts, those solutions were well known in commence. Yet my process did solve a problem and it was proven. There was never an apples to apples comparison. In Alice, the court implied that concrete steps to solve a specific problem can be patented (assuming 102, 103 and 112 are satisfied). So why such a shotgun approach to invalidate patents that include solutions to society’s problems is beyond me, especially when the Alice court never implied as much. Agreed that the Federal Circuit should do something. But it’s not going to happen in your or my lifetime. Patents in the US are a waste of time and money. I think any law student even considering a career in patent law should reconsider. Patents are basically worthless and as admirable as the fight to restore them/the system may be, it’s a complete waste of time. Thank you Gene, your site helps to maintain my sanity. I commend you for your persistent, concrete action and leadership in addressing the 101 situation. Day after day, more and more Rule 36 Judgments appear at the Fed Cir. The judges are signalling that they simply don’t care about the court’s mandate for patent law. As with many district court judges, they’d welcome an end to patent law. The Fed Cir has deliberately made Director Iancu irrelevant. The Fed Cir doesn’t want to be part of a solution to the 101 situation. When you go before the CAFC on 101, hope and pray that they don’t pound you. The facts and the law be d.a.m.n.e.d. Painting a picture of a helpless Federal Circuit is not helpful, and it is wholly incorrect. Anyone who has ever practiced in front of a competent federal judge knows that the judge understands how to distinguish cases they don’t want to follow. The Federal Circuit (as a body with notable exceptions) has chosen to repeatedly provide an expansive reading of both Mayo and Alice. As I have explained, Alice and Mayo are cases that are very easily distinguished on the facts. A first year law student could distinguish Alice and Mayo from any case where there is a real innovation present. If you want to continue to give the Federal Circuit a pass that is up to you. Much of the rest of the industry is no longer inclined to give them the free pass you seem want to give them. The speed at which it is coded or the level of the coder does not matter. What is to be coded is what matters and that is what is patented. What do you expect? The CAFC, Chen excepted, is full of word pushing lawyers. The CAFC needs to have in the law reforming it, that members in good standing of the Patent BAR are the only attorneys qualified to adjucidate patent cases. Only those who have suffered under Pythonesque logic, seen their client’s property rights vanish in front of their very eyes, have the nessessary perspective to judge the validity of an invention. id like someone to pursue a due process class action suit against the court. You have misunderstood my position. There is plenty of blame to go around, but my position is one of that MORE blame belongs higher up the food chain. Make no mistake, the CAFC (had it the gumption and knowledge of a Judge Rich) COULD push back against the Supreme Court, demanding that dicta not be taken as holdings, and that holdings align within the proper limitations of Constitutional authority (as I have laid out in dialogue with Night Writer pertaining to the several avenues of Constitutional infirmities that the current Supreme Court have engaged in). I speak MORE though that the CAFC is NOT the cause — the root cause — of the problems in patent law. That’s not a “pass” as you seem to be making it out to be. The Fed Cir can change course very quickly, while complying with clear Supreme Court precedent. If but three cases recited the following, the Fed Cir could go a long way to restoring confidence in 101, and therefore the US patent system. 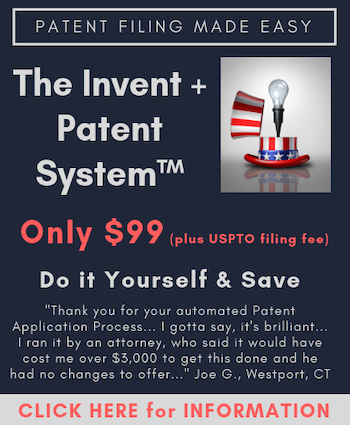 “Section 101 of the Patent Act provides that anyone who “invents or discovers any new and useful process, machine, manufacture, or composition of matter, or any new and useful improvement thereof” may obtain a patent. 35 U.S.C. §101. The language of Section 101 is well-recognized as providing a wide and permissive scope for patent eligibility. Bilski v. Kappos, 561 U.S. 593, 601 (2010) (quoting Diamond v. Chakrabarty, 447 U.S. 303, 308 (1980)) (“In choosing such expansive terms . . . modified by the comprehensive ‘any,’ Congress plainly contemplated that the patent laws would be given wide scope.”). The claimed invention meets the plain language of 35 U.S.C. §101. We are not persuaded that defendants provided clear and convincing evidence that the claimed subject matter falls within any judicial exception to patent eligibility. On this record, there exists no clear and convincing evidence to show the claims are directed to any abstract idea. When the CAFC was created by Congress at the behest of patent practitioners and academics, the ‘Hruska’ Commission (which Congress created to study the Federal appellate structure), had also determined that the existing scheme of regional circuits and Court of Customs and Patent Appeals was doing a poor job of developing coherence in patent law. The goal in creating the CAFC was to create a stable, uniform patent law that would not only eliminate forum shopping among the regional circuits but also “promote greater certainty and predictability, in the hope of fostering technological growth and industrial innovation and would facilitate business planning.’’ H.R. REP. NO. 97–312 at 22. If the CAFC has now indeed failed in its mission to which the American people have tasked it, it is time to consider abolishing it. It is Congress to which we must turn again. That’s what SCOTUS was expecting. I’ve said this for a long time. You have to remember that from all evidence and appearances that Obama let Silicon Valley select the CAFC judges. I think all the ones after O’Malley. Each of the new ones is anti-patent judicial activist and I think that they were interviewed and swore to get the patent system under control. The thought that this group is going to help patents is absurd. It’s time to investigate these judges and impeach, if appropriate. David @ 12 – one of the root causes has been a Supreme Court which has taken nearly every opportunity to “firehose the simians” of the CAFC whenever “brightline” or even “pro-patent” decisions have been rendered. The CAFC simply lacks the gumption, fortitude and direct patent law knowledge to intelligently “fight back” against the over-powering Supremes, to call out those same Supremes for what is effectively ultra-vires and illicit Common Law patent law writing (see my previous posts on the number of Constitutional infirmities emanating from Supreme Court patent law decisions).